You probably own a pair, they've gained the Royal seal of approval and are easily one of the most quintessentially British brands around. Let's take a look at the history of Hunter. There's never a bad time to pick up a pair of Hunter's festival jackets and wellies as these timeless staples will serve you for both the annual festival junket and any future camping jaunts. After all, what festival would be complete without a gaggle of half cut festival goers, clutching Red Stripe, trudging through inches of mud in their Hunters. The heritage brand have become a British institution and with good reason to be. Read on for the complete history of Hunter. In 1856, American entrepreneurs Henry Lee Norris and Spencer Thomas Parmeleeof arrived in Scotland to work on a patent to manufacture India-rubber shoes and boots for fellow American chemist, Charles Goodyear. After arriving in Glasgow, the two set out to find a suitable manufacturing base which resulted in them settling in Castle Mill in Edinburgh. As the lease also included a couple of steam engines, they were able to begin producing almost immediately. By the summer of 1856 they began trading as Norris & Co, but after the limited liability act, this changed to the North British Rubber Company in 1857 with William Erskine Bartlett taking Norris's position. Initially, they manufactured tyres, conveyors, combs, golf balls, hot water bottles, rubber flooring alongside their world renowned rubber boots. By 1875, the company was growing at an unprecedented rate taking the team from a staff of 4 to six-hundred. During the first world war, the UK war office tapped into Hunter's talents for kitting out the British army. The factory vamped up to running 24 hours a day and produced over 1 million boots for the soldiers. With the dedication of the brand throughout the troubles, they were requested to produce footwear once again when WWII rolled around. By 1939, over 80% of the companies' output was for the war. News of their dependability quickly spread after this and their boots became a popular staple among the general public in the years following. Due to this rise in popularity, the company moved larger premises to Dumfries to meet demand. In the winter of 1955, the brands iconic original green wellington first hit the market being the first orthopaedic style from the company, the Royal Hunter also debuted at this time. In 1966, the North British Rubber company was bought out by another US rubber manufacturing company, Uniroyal Limited. The money invested allowed for growth, research and development with the brand which pushed them through the next decade. By 1976, having supplied their wares to the Royals for quite some time, Hunter received a royal warrant from the Duke of Edinburgh and the Queen a decade later in 1986. This pushed Hunter boots towards being one of the essential items for any discerning middle / upper-class lady or gent, and by the end of the 80s, they were a well-known staple among the country lifestyle folk. In 1986, Uniroyal was bought out by another American powerhouse - the Gates rubber company, by 1987 they had begun trading under this name. Under the rule of Gates Rubber company, they began to produce drysuits alongside their already expansive product line - they quickly became the number two producer in the country with a 35% market share. In 1996, yet another change of hands came in the form of The Gates Company buyout by Tomkins PLC for a reported £366m. Tomkins began streamlining and offloading their businesses between 1999-2001, selling their consumer and industrial divisions during this time. 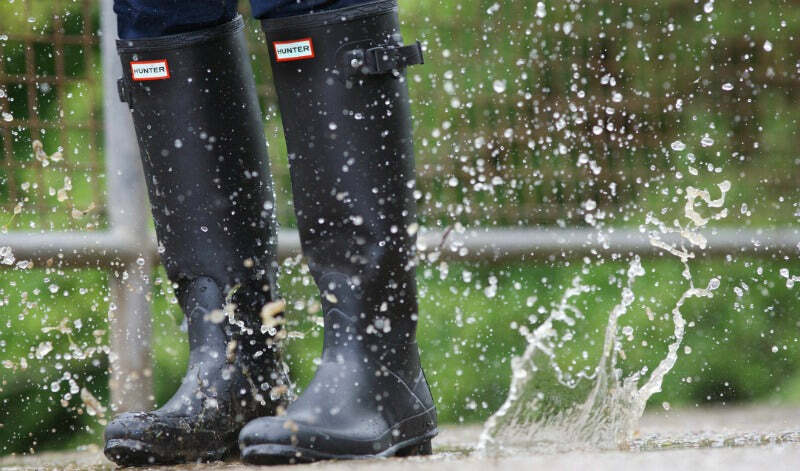 In 2004, however, a management investor group acquired the Hunter Boots sector of Interfloor Group Ltd. for £1.98m in a leveraged buyout transaction - for the first time ever, Hunter was independent. Hunter added several new styles to their Wellington range in 2005 including both licensed boots for the Royal Horticultural Society and the new 'Lady Northampton Riding Boot' which featured a waterproof rubber and canvas upper. Unfortunately, the next year saw the Hunter Rubber Company fall into cashflow problems which led to them being placed into administration even though they had a reported turnover of £5m. Thankfully, private shareholders along with the Pentland Group plc bought Hunter out of administration and Hunter Boots Ltd was born. Hunter restructured the company and began reclaiming its place as a country and leisure footwear brand in the UK, US and internationally. In early 2007, Hunter launched a new collection of RHS wellingtons at the Chelsea flower show. Clever moves such as this, partnered with the new management saw an 85% rise on sales against the same period the year before. However, the issues that saw them fall into administration in 2006, such as high fuel and production costs, forced Hunter to consider alternate supply sources and manufacturing bases and in 2008 they moved production to Edinburgh. Hunter has since seen strong growth with international distribution in over 30 countries. However, some observers feel the quality of the products have suffered over recent years and the brand has seen a number of negative comments regarding quality posted on website reviews. Regardless, Hunter maintains its place as one of the most sought after wellingtons in the world with an expansive line of their epochal boots complimented by apparel and accessories. Hunter's casual, yet classic aesthetic makes them the perfect finishing touch to any outdoorsy activity you might be up to. 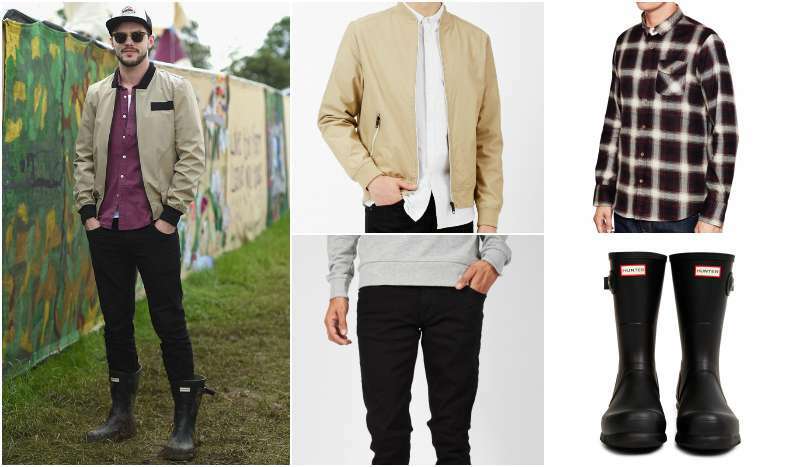 The king of festival footwear, you'll often see the humble hunter short rain boots up-styled with dressier clothing at the likes of Glastonbury and other muddy music events, while this works in a festival setting - it's best to maintain a casual look when styling for a simple country walk. In 1856, American entrepreneurs Henry Lee Norris and Spencer Thomas Parmeleeof began trading as Norris & Co. - this would go on to become Hunter. By 1875, the company was growing at an unprecedented rate taking the team from 4 to a six-hundred. By 1976, having supplied their wares to the Royals for quite some time, Hunter received a royal warrant from the Duke of Edinburgh and the Queen a decade later in 1986. In early 2007, Hunter launched a new collection of RHS wellingtons at the Chelsea flower show. Despite many changes of ownership and management over the years, Hunter still experiences strong growth with international distribution in over 30 countries. If you haven't invested in the Hunter Original already, now's your chance. With a rich British heritage under their belt and the royal seal of approval, Hunter wellies are your only choice for festival footwear this season. Grab yourselves a jacket whilst you're at it - with a British Summer looming on the horizon, you know you'll be sorry if you don't. We've got our men's hunter boots, have you?